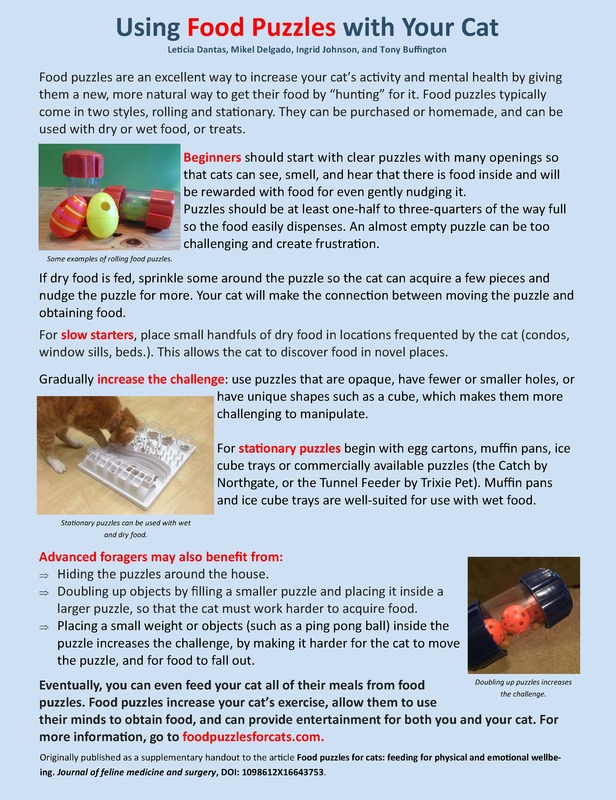 Ingrid is excited to share that she co-authored a paper for the Journal of Feline Medicine and Surgery on helping clients use food puzzles with their cats! The final version is available at the publisher's website. As a supplement to the article this handout was created and you can download and share with others!